In my last post I was talking about why home sellers get frustrated… throughout history most people were able to pull up stakes when resources ran low or new opportunities beckoned. Nowadays, however, we’re tied to our properties and unable to move on when we need to. But the good news is we do have control over many crucial aspects of home selling — which can make a big difference in whether we sell or not. You have control over the asking and selling price of your home. You have control over the appearance and condition of your home. You have control over the sales representation of your home. You have control over the marketing and advertising of your home. You have control over the terms of sale of your home. You have control over your attitudes and perspective of the situation. You have control over how you’re going to live your life while waiting for a buyer and throughout the home selling process. You have control over creating new solutions to solve your financial problems. You have control over whether to keep your house on the market or take it off for a month, a year, or longer if appropriate. You have control over your decision to make the home selling experience an awful time or an innovative, productive, enjoyable time. For hundreds of tips on selling your house faster, easier and saner, read Home Selling Blues and How To Beat Them. Now also available in paperback or ebook from Amazon.com and Barnes and Noble. Its really a nice informative posting. I think these are effective for all. Thank you for sharing with us. Keep it up..
Not really. If you owe your bank X, you can try to sell for less but then you get stuck making up the difference unless you can short sale…but that comes with consequences too. 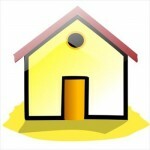 Yes, it’s true in the case of a short sale, you aren’t in control of your price. For those who are not in that position, you do have more control — and may be able to prevent a short sale from happening if you price your home carefully, considering the issues of today’s tough housing market.